Her face beamed. The bee girl in Blind Melon’s video for “No Rain” felt a sudden sense of belonging when she realized there were other people like her in the world. They all danced the same bee dance and sang the same bee song. For the first time in a long time, she felt respected and accepted. Turns out, those special moments can be a boon to brands and bee girls alike. While wearing wings might be a bit much, the notion of a retail brand building a dream store for their highest value customers certainly isn’t crazy. The rush of conquering the climbing wall at the REI Boston store for example has been known to inspire camaraderie among customers (self included) and a sense of belonging with the brand. Not surprisingly, camped atop the C Space 2016 list of most customer inspired brands, we find REI. REI knows what their customers love and isn’t afraid to take risks that power positive customer experiences. According to the C Space report “The Most Customer Inspired Brands in 2016” when a customer feels understood and respected, they have a stronger relationship with the brand overall. REI exemplifies this through their in-store and digital experiences along with a passion for all things adventure. REI closed its stores on Black Friday (the busiest shopping day of the year) and told their customers to go for a hike — literally. A risk that paid off, revenues rose 9.3% from 2015 to 2016. The C Space Customer Quotient ™ framework (CQ) quantifiably correlates revenue and profitability growth to brand behaviors that customers value. Those special moments are are especially important. The fuzzy logic of customer experience analysis has long depended on a range of disconnected observational metrics. C Space’s CQ approach generates insight from customer perspective, a first in the industry. The C Space Customer Quotient ™ is comprised of five attributes measured from the customer’s perspective: customer experience, emotional rewards, relevance, openness and empathy. 1. Customer Experience — In an omnichannel world, every touch point shapes brand perception. Brands scoring high in CQ include leaders like Marriott and Wegmans who both deliver on creating meaningful experiences. It’s all about going beyond a good experience and delivering great every time. 2. Emotional Rewards — When a high-touch brand makes you feel good, you remember it. Those witty signs at Trader Joe’s that inspire a subtle chuckle make the brand more personable. Those collective good vibes build up over time and deliver emotional rewards that strengthen brand relationships driving growth, profitability, return on assets (ROA) and likelihood to recommend. 3. Relevance — Brands that understand customer needs and deliver on them in novel ways score high in relevance. Being relatable and sharing your values matters. REI’s #OptOutside campaign is a prime example. 4. Openness — Brands scoring high in openness are perceived as accessible and being genuinely interested in what customers have to say. Being open also means being clear and being real. Dove’s Campaign for Real Beauty featured non-models and elevated the brand in the minds of many women. Oil of Olay engages older women in a similar tone that speaks to their unique needs. 5. Empathy — Brands that are empathetic have stronger customer intuition. They really “get” their customers, and it shows. Through internalizing customer needs, firms scoring high in CQ like Chick-fil-A, integrate their values as source of competitive advantage. Brands with this strong connection enjoy a distinct advantage — Chik-fil-A for example is the restaurant industry leader across CQ dimensions. So if the bee girl is your customer, and your brand is the dance — how do you get things moving? To truly connect, brands need to put in the effort and cultivate a two-way relationship with customers, beyond the typical social media channels. The reward? A profound and now quantifiable link to growth. Thought leaders like C Space hosts 100,000 conversations a day between brands and their customers, extracting innumerable insights along the way. C Space’s CQ framework allows brands to measure the bottom line benefits associated with a customer first model — growth in both revenue and profit. Be it brand or bee girl, being empathetic, open, and showing genuine interest builds stronger relationships. Done well, there may also be dancing. – Anthony Cospito is Director of Digital Strategy at Popbox Digital, Co-founder of the digital collective Brooklyn Art Project, and a consumer insights contractor with C Space (An Omnicom Agency). With ad costs rising for brands to reach their fans and followers across social media, forward thinkers are switching strategy – and going direct. Organic reach is waning on two of the largest social platforms, Facebook and Instagram. Core to their model, Facebook offers paid options to reach more fans, as does Instagram. We’ve hit the pay to play threshold. After reaching critical mass with 1 billion DAU (daily active users), it’s no surprise that Facebook is ramping up monetization. The problem is that organic reach on Facebook isn’t just slowing – it’s in free fall, down from 16% in 2012, to 11% in 2015 – and project to dip to 7% in 2016 according to AdWeek. Instagram growth is also down 93% with engagement plummeting 70% in 2015, according to a study by Locowise. With the average Instagram user now following 400 to 500 accounts, any kind of interaction is fleeting at best. The age of “build your social network for free” has transformed to “pay to engage fans at scale” – platform owners win big, brands get squeezed. Understandable in the capitalistic grand scheme of things, you can’t make the rules if you don’t own the room. Unless you do. One company out to change the game is Mightybell, a SaaS customer community platform, purpose built for direct customer engagement. Led by social networking visionary Gina Bianchini (co-founder of Ning), Mightybell leverages the ubiquity of smartphones to connect brands with 100% of their base, not a declining percentage. Brands like Intuit QuickBooks and The Bill and Melinda Gates Foundation took notice and launched their own niche networks on Mightybell in 2013. Intuit, for example, has created OWN IT, the most active social network for small business owners and the self-employed with 100,000 members on the platform. The benefit is that members are building relationships with each other, not just the brand. This quality of customer engagement at scale can generate network effects that spark innovation and help brands stay relevant – especially true for Millennials and Gen Z. Customer communities on Mightybell, Intuit’s OWN IT community shown in center. These customer platforms aren’t new and have evolved quickly with the rise of mobile. As early as 2002, I worked on CPG customer community projects where participants were extremely high value customers (high spend/high frequency), first in their peer group to try something new, most likely to share new ideas, and would often brainstorm new products. A dream segment for any CMO. Build vs. Buy – Building a customer community gives brands a chance to own the room and learn from all their customers, anytime needed. It’s a platform that focuses on customer interests, needs and opinions. Without limits on reach, brands can more easily deepen loyalty and engage in an ongoing dialog. Whitespace vs. Whitenoise – The rise of content marketing and social media as a whole makes it harder for a brand to be heard. Communities offer a way to co-create new products with top-tier customers and tap opportunity gaps before the competition. Deep community engagement drives more ROI than standard social media postings. Value vs. Vanity – Growing customer lifetime value is critical to long term survival. Brands need to go beyond superficial social media stats and care more about bringing high value customers into the fold, involving them in everything from product development, to packaging, and marketing. While Facebook and Instagram still have a role in a brand’s social strategy, their roles are changing and the customer community is rising. Some brands see the omnichannel marketing challenge before them and quake in fear. Others are crushing it. We’ll focus on the latter. Mapping the best of these efforts along the customer journey demonstrates how important timing and trust are when planning, implementing and optimizing digital strategy. Be not afraid. Breaking through the clutter is tough, but when you can leverage new technology to spark an innovative form of brand engagement, it’s a good thing. 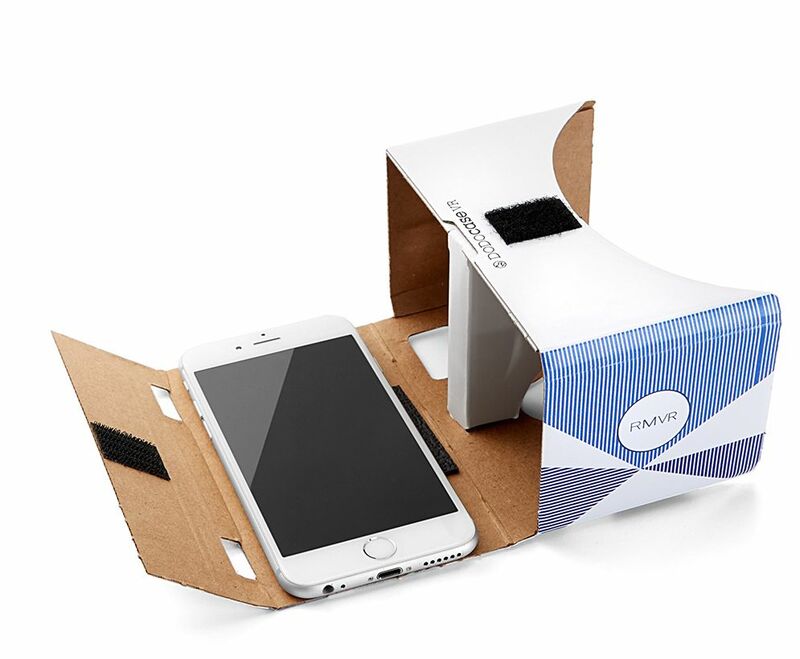 Fashion designer Rebecca Minkoff did exactly that when the highly popular brand created a VR based runway show, complete with a Rebecca Minkoff branded cardboard viewer. Through commoditizing access to the brand, this strategy brings what was previously reserved for fashion royalty, to the regulars. This also reflects a larger trend of fashion designers eschewing the “status quo fashion show” and going direct to consumers. Millennials are known for their passion around sustainability, including things like knowing where products come from. Amazon is speaking directly to that need with Amazon Elements, a tool that allows customers to track items from creation to expiration through the Amazon app. The more comfortable people are with all aspects of your product, the more likely they are to make a purchase – a critical next step in the customer journey. Instacart and All Recipes teamed up to make sales happen faster and at greater value. 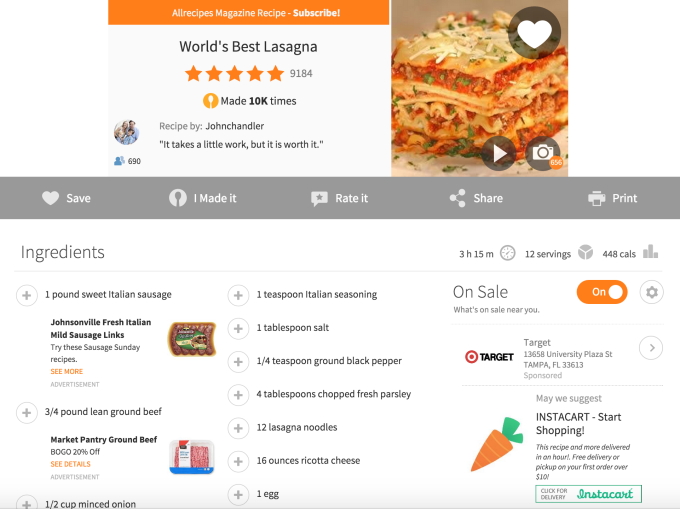 Customers can add an entire recipe’s ingredients to Instacart from AllRecipes in one click. The strategy adds more value collectively than either brand could have alone. This solution drives revenue and allows both Instacart and Allrecipes to bask in the glow of delighted customers. Customers use a matrix of brands in their daily life, understanding which ones they love and exploring partnerships, shows you understand them, and know how to make their lives better. Sooner or later you hit the “What have you done for me lately?” problem. Best advice is to act before customers even ask the question. 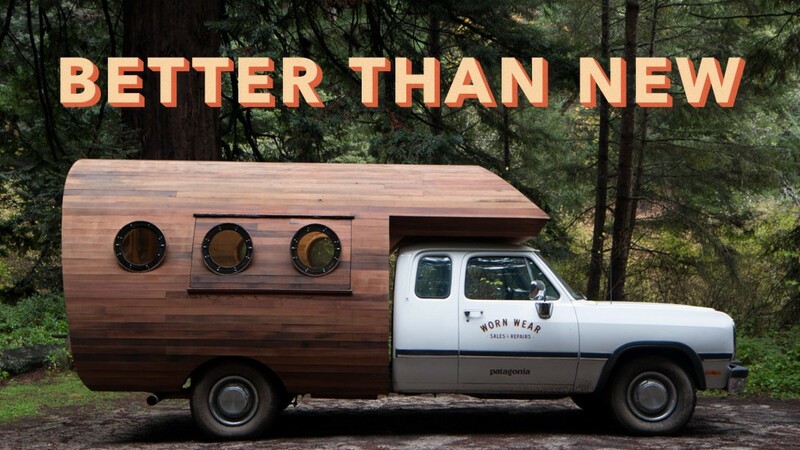 Patagonia picked up on their customer’s passion for the brand and rolled out a pickup truck destined to tour the nation on an apparel mending mission. This strategy puts Patagonia face to face with customers, reinforces the brand messaging that they stand behind their products, and creates social media value through sparking conversations online, and on the road. Customers who love your brand are much more likely to help you grow. MIT professor Eric Von Hippel led the research that popularized the “lead-user” approach that engages customers who care deeply about the brand to co-create new product ideas. I’ve personally seen this strategy work well with CPG brand clients testing new product concepts. Brandy Melville is a top fashion brand for teenage girls taking a similar approach. The brand (with 3.3 million Instagram followers) has a team of about 20 “Brandy Girls” who “work paid shifts in the back room of the brand’s Santa Monica store, where they brainstorm new concepts and consult on existing ones,” according to Racked.com. Strategically, mapping marketing strategy against each stage of the customer journey helps to more effectively transform browsers into buyers, and buyers into innovators. Increasingly in client projects we’re using the customer journey as a timeline to map messaging against, and it’s been an invaluable process for stronger conversions and recall. 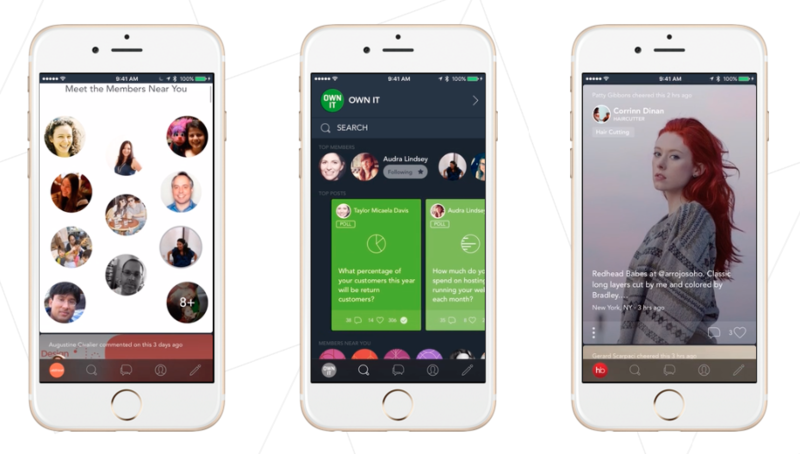 The highly fragmented messaging app space is loud, crowded and pushy. No place for a thin-skinned newbie, or is it? 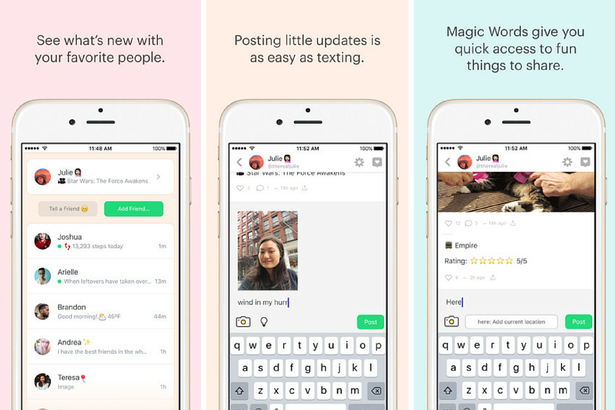 Described as “Twitter meets a group messaging app” Peach is built for close friends and family with some quirky surprises. Think Path – infused with the spirit of Slack and a splash of Snapchat. Experienced leadership, UX innovation, and strategic WOM are some of the things that give Peach its juice. Founded by Dom Hoffmann (co-founder of Vine), Peach launched to big buzz at CES 2016, then cleared the gauntlet of the “Tech Twitter” community barely bruised. Investors, entrepreneurs and journalists helped the app quickly attain top rankings in the App Store. Innovation around “magic words” and embrace of the Product Hunt community also drove downloads. By typing the “magic words” draw, shout, gif or song, users can doodle, share what song they are listening to or post a gif to share how they are feeling. New words like: here, goodmorning, goodnight, battery, weather, move, meetings, safari, dice, time, date, movie, tv, and game are being added – a critical element to keep the “magic” alive and a fairly frictionless approach to engagement. In February, Peach introduced gaming to the platform. 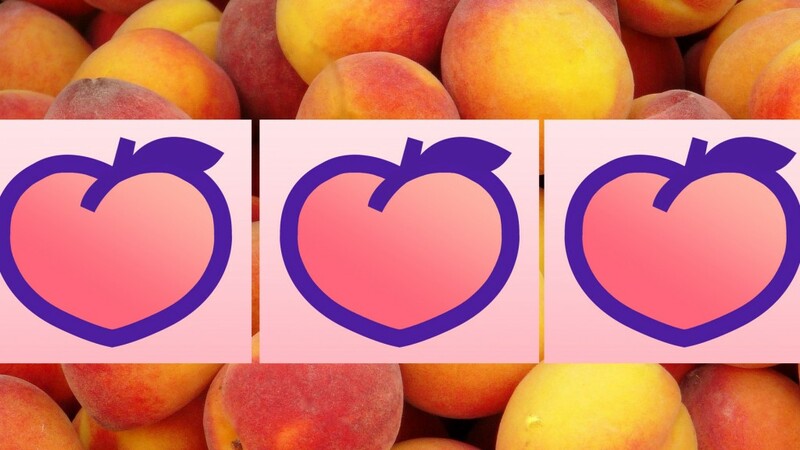 Users can start a game of Peachball by typing the word “play” for five chances to get your peach in the basket. The most innovative gaming experience ever? No, but mildly entertaining enough and always just one word away. Never underestimate the power of proximity. Assuming you’ll be able to soon play against your friends, this aspect of the platform has tremendous revenue potential following Asian messaging apps like LINE, Kakao, and others where the majority of high margin, recurring revenue is from games. The on-boarding process for Peach is quick, simple and punctuated with a push to invite your three closest friends, a move likely to boost the viral co-efficient. Increasingly a common Word-of-mouth metric, the viral coefficient is a quantitative measure of virality calculated as the average number of invitations sent by each existing user, multiplied by the conversion rate of invitations sent. A viral co-efficient greater than one sparks growth. Peach has an advantage here, the closer you are to the people you invite, the more likely they are to sign-up. That said, one can estimate Peach’s viral coefficient to be approximately 2.099, assuming three close friends are invited per user (spouse, friend, sibling, parent, etc.) with a 70% likelihood of sign-up. Plausible, considering these are close friends and family only. Following the trajectory of messaging app momentum, Peach is poised for significant growth given its rising profile which now includes Android and a web platform. Short term funding won’t likely be a problem, things get tougher a bit further out when apps like Slack, Messenger, iMessage, Peach and Telegram all start to feel the same. If Peach keeps innovating and stays true to crafting a compelling UX, it has a real shot at becoming an industry leader, and not just another flambe in the pan. 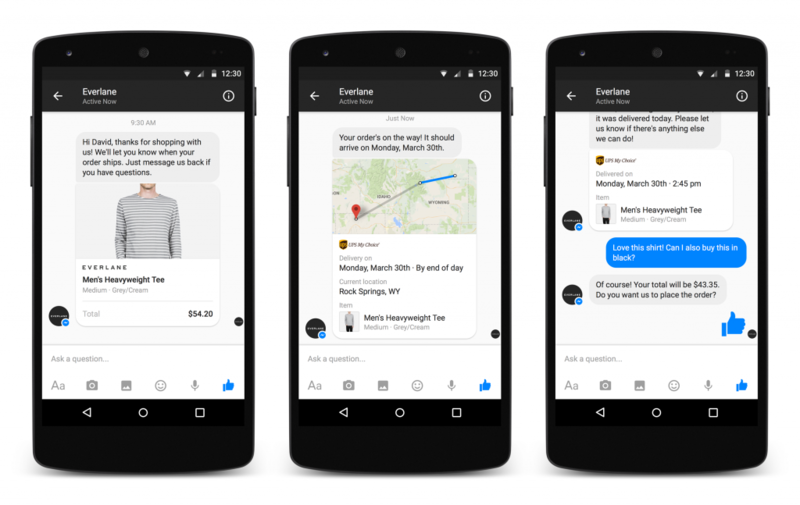 Luxury brands and bots – A bespoke fit? Leaders in the $20 billion global luxury market are leveraging the rise of messaging apps to thrive in the conversation economy – leaving laggards without much to say. High touch service at scale is no longer the purview of the wealthy. 2.5 billion people use messaging apps daily, with projections rising to 3.6 billion by 2018 according to advisory firm Activate. The good news – luxury brands already understand the value of customer intimacy and proximity. The bad news – smartphones are commoditizing both. Thought leaders like Nordstrom are already a few steps ahead. Nordstrom’s personal shoppers work closely with the brand’s most exclusive customers. They know their sizes and tastes well, with many talking and texting like old friends. Sensing an opportunity, Nordstrom launched TextStyle in the summer of 2015, a messaging app to strengthen their already strong customer connections. 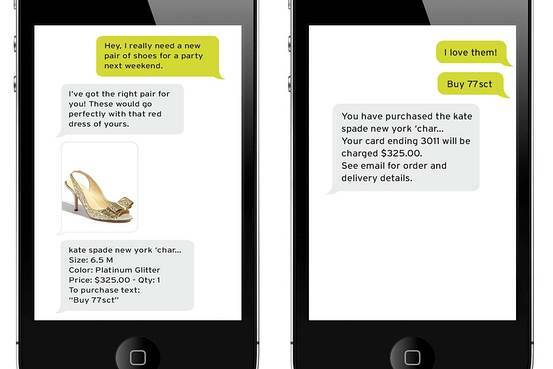 TextStyle allows personal shoppers to message with customers and make purchases directly from the conversation without having to enter a credit card or complete a form. This strategy leverages technology to reinforce two classic luxury brand attributes: proximity (being accessible from any smartphone), and customer intimacy (always knowing what to recommend). Delivering stellar service will only become easier as software continues eating the world – personal shoppers included. Facebook’s M, is an early form of artificial intelligence that marries human-like engagement and deep subject matter knowledge. Cortana, Siri and Alexa are voice based assistants that may be clumsy now, but no doubt getting smarter with every stumble. Platforms like Messenger for Business are fast tracking chat based customer service to 800+ million users. Digital already influences three out of four luxury purchases and will soon impact 99% of sales, according to McKinsey and Business of Fashion. Everlane was one of the first luxury brands to team up with Messenger to deliver customer service and track shipments and returns. Approximately 200 request come in daily, handled by 1-2 employees according to Frerk-Malte Feller, leading Business on Messenger at Facebook. These are early days but within the next 12-24 months luxury brands need to define new ways of serving customers via mobile in every way possible – and deliver flawlessly. Classic luxury segments like travel and yachts are already teaming with IBM to bring a new breed of AI sales assistant to life. 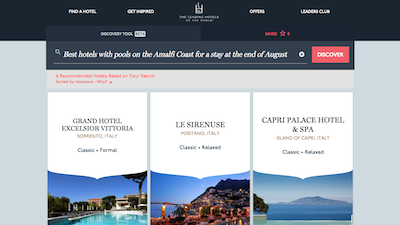 With 81% of luxury buyers planning their own trips, according to a study from Leading Hotels of the World, advanced services like WayBlazer could become the norm for a demanding new generation of mobile-first consumers. Yacht Harbour is another Watson powered platform that brings artificial intelligence to high-end vessel sales. Personified via “Brook” (i.e. Siri for yachts), this Yacht Harbor AI helps buyers navigate the daunting vessel purchase journey. An enhancement likely to bring a shorter sales cycle and higher margins. According to L2, a leading digital benchmarking firm, 80% of future growth in the luxury category is tied to digital – giving early leaders a strong advantage in growing market share and deepening loyalty. Some of the old guard luxury brands may have missed web 1.0, or even the social wave, but those ignoring messaging as a platform to better serve customers risk being left out of the conversation. –Anthony Cospito is Managing Director of Popbox Digital and brand Storyteller with C Space. Every customer interaction sparks a data point that brands can learn from. 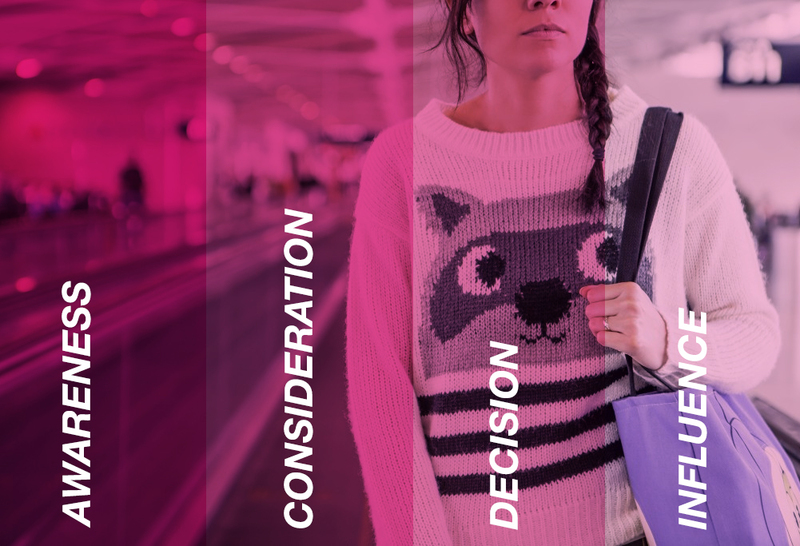 CMOS, agencies and brand managers are now mapping these insights against the customer journey as a strategy to drive conversions and deepen brand loyalty. Fine tuning the signal-to-noise ratio is the tough part. Three trends are converging to help brands know what to focus on including: rising value of customer service data, context driving conversions, and the rising importance of customer journey mapping in a channel and device agnostic world. As a source of brand engagement data that quite literally defines the customer experience, call centers top the list. The speed and efficacy of customer service in most organizations will improve significantly in the next few years powered by more customer-centric algorithms. The push to a customer-obsessed model is quite real according to Forrester Research and can bring measurable ROI. Insights that improve critical touchpoints benefit the entire organization. 2016 will likely be the year consumer brands start diving a little deeper here. Customer experiences will be further enhanced as tools like IBM’s Watson Engagement Advisor, that uses natural language and understands context, get smarter with each use. Given the rise in content marketing, the time, place and tone in which messaging is delivered is even more critical. Understanding “mobile moments” in context allows for the right content to reach the right person at the right time. Since the ultimate test of context is conversation – Facebook’s new digital concierge service called M is spot-on for how Millennials want to engage with brands. Guided by David Marcus, Messenger flew past the 800 million user mark in 2015, adding real time customer service integration for firms like FedEx, Everlane and the USPS. The notion of “conversation as interface” has many brands re-thinking how they engage and serve customers. Messaging platforms like Snapchat and What’sApp will expand their efforts towards brand engagement. Emerging media like Periscope will enter the mix more often in 2016, especially for entertainment and youth brands. Artifical intelligence offerings like Amy, a digital assistant birthed by impressive NYC startup, X.ai and bot platforms built on messaging apps like Telegram are powered by context seeking algorithims. Mark Zuckerberg has another dog in this fight, he’s racing to build a real world version of Iron Man’s sidekick, Jarvis. 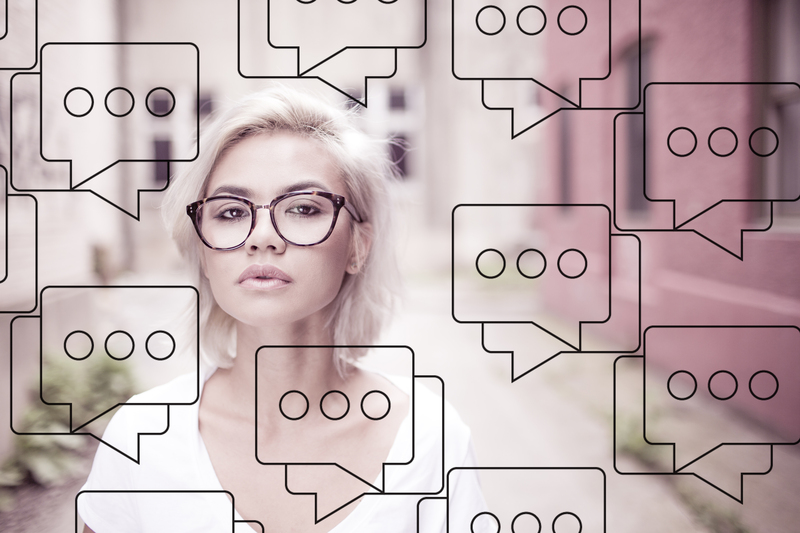 The race for human-like engagement across channels is on – so make sure your brand can carry a conversation. Customer journey mapping is not new, but when powered by a range of emerging mobile and social data points, the tool is more powerful than ever – especially for brands seeking rapid growth. The process starts with mapping and optimizing marketing efforts for each phase of the customer journey (i.e. Awareness, Consideration, Decision, Influence). Messaging must then be mapped by channel and synchronized to drive conversions along the path to purchase. A/B testing creative along the customer journey speeds optimization. At each of the four stages, customer journey maps outline actions, motivations, questions and barriers to overcome in the path to purchase. Knowing what prospects are thinking, and targeting creative by stage, drives higher conversions and customer lifetime value. Insight driven efforts to improve the customer experience will be a growing narrative in 2016. Brands taking the extra step of optimizing their messaging along the customer journey are likely to lead in revenue and innovate ahead of the competition.